When you crack or chip a tooth, or have a tooth that is misshapen or discolored, it can affect your self-confidence. But all hope is not lost. Your dentist can restore your smile. Dental bonding is a simple cosmetic procedure that restores your tooth, or teeth, back to its former beauty, giving you cause to smile wide whenever the opportunity presents itself. Dental bonding is a simple cosmetic procedure that uses a tooth colored resin to restore your tooth - fill in cracks, correct the shape or even change the color. It can also be used to fill in large gaps between teeth. The procedure is quick, and requires no anesthetic. If there is any decay, it will be removed from the tooth. The tooth is cleaned and dried. An acidic gel is then applied to the surface of your enamel rough, which will allow the resin to adhere. The gel is cleaned off and the surface dried again. Your dentist will then apply the resin, shape it as needed, dry it with a blue light and polish it. Dental bonding requires some extra care. The resin material used for dental bonding can withstand normal biting and chewing, however, it is not a very strong material. Biting into anything that is very hard, or chewing on your nails or writing instruments can cause it to break. Stay away from biting or chewing on anything extremely hard. 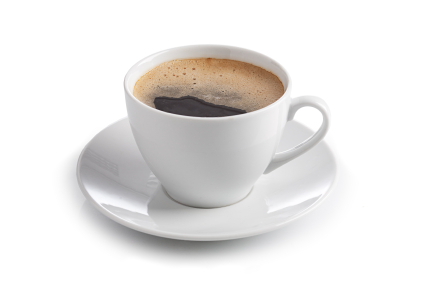 Certain beverages, such as coffee, tea and red wine, as well as smoking can discolor your natural teeth. These stains can usually be removed with whitening products. Your dental bonding is much more susceptible to staining than your natural teeth, though, and cannot be whitened like your teeth. Therefore, it is best that you limit your intake of staining beverages and quit smoking. When it comes to your normal oral hygiene routine, nothing needs to be changed. You should still brush your teeth at least twice daily and floss every day. While the bonding itself won't suffer decay, the rest of your natural teeth are still susceptible, and you should continue to care for your mouth as you usually would. You should also visit your dentist at least twice a year for exams and cleanings. Your dentist will check the condition of your bonding, and fix it if needed. If you are interested in getting dental bonding to fix imperfections in your teeth, contact our office for more information.